See our large selection of USA-made Baldor Grinders and Buffers ranging from 6-inch to 14-inch, heavy-duty industrial machines. 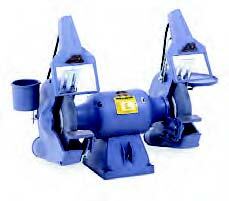 Baldor accessories include grinding wheels, pedestals, guards and dust control units. Check out over 3,400 industrial quality shop and garage equipment tools online. GSA Contract GS07F9368S. Open account to all government agencies.